South Melbourne Market is the quintessential village Market. The home of fresh, local produce and where the community comes to shop, meet, eat and drink. The market attracts a huge volume of foot-traffic, with over 5 million annual visitors. Earlier in the year the Market, won the Institute of Public Affairs Australia’s Victorian Environmental Sustainability Award, sponsored by Sustainability Victoria in Melbourne. “As community expectations about environmental sustainability grows and waste disposal costs rise, it’s clear that the South Melbourne’s market is hitting the mark on both counts,” Sustainability Victoria CEO Stan Krpan said. “The South Melbourne Market’s comprehensive program could be applied to other markets and shopping centres, not just in Melbourne, but around Australia,” Mr Krpan said. Back in August 2017, as part of an initiative to further implement a more sustainable waste management system, City of Port Phillip installed 3 eye-catching Bigbelly Solar Compactors around zones receiving the highest volumes of foot traffic within the Market area. Since installation, the Bigbellys have collected over 180,000 litres of waste and more importantly reduced waste collection frequency by 89%. So how does the Bigbelly Solar Compactor work? The Bigbelly uses the power of the sun to charge a 12-volt battery which powers a compaction unit inside of the station. This means that as waste fills up inside of the bin, it will eventually reach two, fill-level sensors that are located on either side which in turn trigger the compaction unit to squash the collected waste. The result is that the Bigbelly can collect 5 times the amount of waste as a standard 120L wheelie bin.The Bigbelly then importantly notifies the collection team when it is ready for collection via text or email notification, meaning that the bins only need to be emptied when they are full. We look forward to our continued partnership with South Melbourne Market and for assisting them in maintaining an optimised, smart waste management system for many years to come. 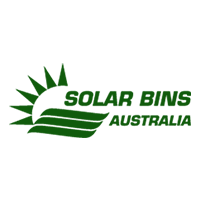 If you would like to find out more about our smart, sustainable waste management technology, feel free to call 1300 693 810 to speak with one of our smart waste experts or email leon@solarbins.com.au.